Your supply chain is always going to be your biggest cost challenge. There are a lot of variables, after all, and you cannot simply reduce your budget with your supply chain or else risk not obtaining the materials and products you have ordered. It is up to you to make it more efficient, from processing times down to the exact number of items that you need. Order too many, you have a surplus that you had to pay extra for. Order too few, however, then you need to pay for processing times, production, and transportation all over again just to keep up with demand. When it comes to working with others in business, you need to focus on communication. When people respect and like you as a company, they will work well with you. This doesn’t mean you want to be a pushover, but being fair will go a long way towards creating lasting relationships that can even result in long-term discounts and prioritized service. When something goes wrong, it often costs money. This can be a very frustrating experience for everyone involved but before you start pointing fingers remember how other people tend to react to being laid with the blame. Instead, try to take a step back and use these strategies so that you can increase accountability without laying blame unfairly. Suppliers need to know what is going on in your supply chain in order to provide the best service that they can. Transparency, then, is key to improving collaboration and communication. Thankfully you don’t need to give them a call and update them on your current business status in order to provide this transparency, just the right supplier portal. This software will also need to be able to automate processes using the data you have inputted. It should be able to do things like send out invoices, make notifications, and allow for updates to be made. User experience is critical when it comes to working with other people, even if it cannot necessarily always be measured. By choosing software that is simple to use, you will encourage all of your suppliers to use the system you have put in place. You can generally improve all five of these steps in one fell swoop just by using the right SAP Supplier Portal. The right system can do so much for your company and for your suppliers. It is easy to use, versatile in its use and is smart. Automated reports and tasks can reduce the admin times and processing periods for everyone involved, allowing you, your suppliers, and your customers alike to enjoy a more convenient and cost-effective service. All businesses need to collaborate in order to succeed. You do not exist as an island, and by not addressing both the issues in data and in the human element of your supply chain you will never find a solution to the inefficiency you are facing. The right software, however, can solve all your woes, so choose carefully and ensure it suits your industry or can be customized accordingly. The Google Partner’s livestream event from today, 7/10, featured some great speakers onstage to promote new Google products and marketing innovations. The speakers talked about the latest in Google Ads, Analytics and Platform Solutions. New campaign types are available aimed at catering to specific business categories. Keynote speaker Sridhar Ramaswamy discusses how Google ads are changing to work for everyone; being valuable, transparent and trustworthy. Marketers will learn how to deliver more effective ads that put people first. 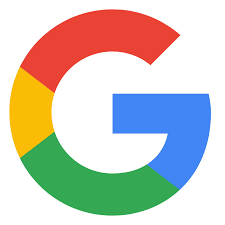 Google wants to help advertisers understand how to satisfy customer intent by leveraging machine learning and custom approaches to campaign building. Google search results are more tailored to needs through price, reviews and nearby locations of what the customer is searching. New controls are available to consumers control ads and control how their data is used. 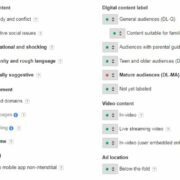 Additionally, display ads contain new controls to allow advertisers more conceptual control over what types of content their ads can show up on. Check out the image below for examples of site category types you can manage in Display Ad campaign placements. Have a simpler way to purchase ads. Sridhar drove home the reminder that your customers must have your trust. Although customers are now more difficult to please than ever before, the onus remains on agencies and advertisers to create ads that earn trust FTW! Guest speaker Nicky Rettke discussed how to drive better results by being relevant to the consumer. The marketer needs to not only find the right keyword, but assist the consumer in every step of the way to purchase. Being relevant helps you to understand the consumer. 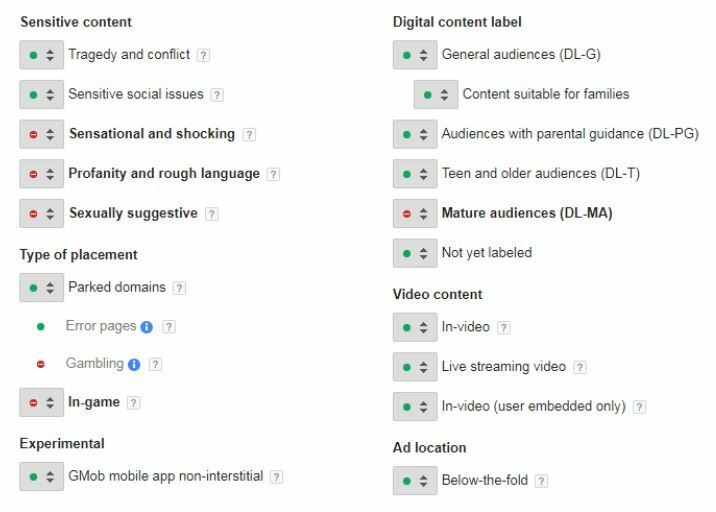 New video ad options for youtube ad some really interesting potential approaches. They are trying to to make it possible for businesses & brands to use the buying funnel step to define appropriate advertisement goals. And, for the first time, you’ll be able to integrate a conversion form right below the video. We can’t wait to try one of these! Truview for Reach helps to raise awareness throughout a broad set of customers. Trueview for Action helps to take those customers and drive conversions to your site. Trueview Instream Ads allow viewers to watch 30 seconds of the end and end the video or interact with the ads. These are powerful when matched with intent audiences, which help reach the exact people you are looking for at the time of purchase. With call to action buttons on the videos, the consumer shopping experience is simpler while driving brand awareness and measuring results. Anthony Chavez, another guest speaker today, talks about machine learning and how to use it to your advantage. 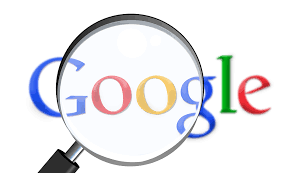 When you search Google, it collects your information to give you an ad that is relevant and tailored to your needs. Smart bidding helps to make bids based on customer intent and context from searches. Google recently introduced responsive search ads, which allow for more flexible yet simple ads to drive results. Google will mix and match your headlines and descriptions to deliver tailored messages and find the best combinations. Landing pages on on mobile will also aid in the customer experience if they are quick. If you have a slow mobile site, it will drive customers away. The landing page speed score will help to determine which pages give the best customer experience and which need to be better optimized. What has Google Got for Small Businesses? Guest speaker Kim Spalding discusses how simplicity is essential for business, especially those that are small. The new ad solution for small businesses, smart campaigns, uses the innovation and technology from Google ads to give for a simple experience. Machine learning will find you new customers and optimize campaigns to save time and focus on results. Smart campaigns will get you 3 times better results with getting your ads to the right audience. With Google’s new updates and features, advertising has never been simpler with saving time, making direct connections with customers while driving performance. Get better results with updates that tailor your ads to the right customers at the right time. To make the most of the rich, intense moments when your customers need you, contact us to help get you setup and ready to use the new Google tools that leverage machine learning to deliver better results! The Google Partner’s Connect from today was all about how consumers have changed behaviors, which in turn changes the way we do business. Since consumers are in the driver’s seat, companies have to follow their every step in order to efficiently connect with their consumers. Connecting in the digital age is now more important than ever since consumers go digital to decide what to purchase and from where. Since over 50 percent of the world has internet access, the ever changing times are prompting companies to be more mobile-friendly. Mobile changes everything and gives us power, while keeping us constantly connected. 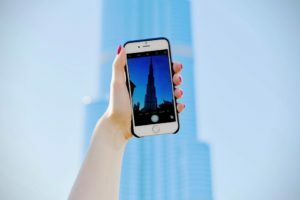 There are currently over 8 billion connected devices from smartphones to smart watches – which are more devices than people on the Earth. In 2020, there will be over 20 billion connected devices, which pressures companies to always be up the latest technologies to communicate with consumers. Mobile shopping is now more popular than ever and digital shoppers are now representing over 1.8 billion of the entire global population. Consumers are more curious and constantly look up information on Google and Youtube. The phrase “just Google it” has become more known than ever. Youtube is also a platform that companies use to give consumers detailed product descriptions. In the past 2 years, videos with the word “review” in the title had over 50,000 years worth of mobile watch time on just mobile alone. Platforms like Youtube are extremely important to utilize for path to purchase. Consumer behavior is changing, and we are now seeing the following three behaviors from consumers. The first behavior is consumers are more demanding now that everything is quickly available on mobile. With Google, all of the information we need is right at our fingertips. We get a more personalized and accurate view of the world from location and language to how companies convey their brand. Consumers no longer include “near me searches”, since Google has the technology to discover your current location. The second behavior consumers use is an increase in searches for personal products and services. An increase in “I” or “me” searches, such as “which dog is right for me?” are trending with Google searches. Consumers are demanding more immediate assistance, loyalty from retailers and expect companies to engage and make their shopping experience user-friendly. The third behavior seen with consumers is they are becoming impatient with services. In fact, mobile searches for same day shipping has increased by 120%, and major companies like Amazon need to meet the needs of these consumers. With the age of assistance, there are now more opportunities than ever to connect with consumers. You must make sure item description is up to par – from title descriptions to rich keywords. Reach the right people to your products and stand out with free shipping and promotions during holiday seasons. Use past data from last holiday season to anticipate the upcoming holiday season: anticipate traffic, highlight promotions, have a quick mobile site and use the correct audiences. By creating a seamless shopping experience for our consumers in this digital age, you will be sure to see both sales and efficiency increase. 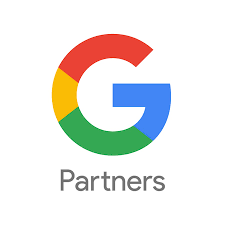 Below is the Google Partner’s Connect Video if you have not yet seen it today! Baby boomers make up much of the online population and successful businesses should cater marketing efforts towards them. The latest research shows that Baby Boomers are using social media now more than ever. Not only have they embraced social media for communication, but they’re also using it to their benefit in a variety of ways including product research. Baby boomers now spend a whopping 27 hours behind the computer screen each week, 2 more hours online per week than millennials aged 16-34. Opportunities to reach Baby Boomers exist in unexpected ways for companies willing to think outside the box. We developed an infographic that shows just how much baby boomers are using social media today. Baby Boomers have found more ways to utilize technology and social media, check out the infographic for more stats to better understand and target them. The recent Google Partners Connect on 9/20 talked about different industry trends that have popped up over the recent years. As our customers change along with technology, the businesses have to change as well. Three industry changes that we analyzed from the event were: the customers are now in the driver’s seat, data is a game changer and how to drive marketing with machine learning. Since customers are now in the driver’s seat, they created the shift in how decision makers make purchases. Since the death of b2b salesmen, research before purchase is now in the hands of the customer. B2b buyers are actually 75% into the purchase before they even go through the buyer. That means that not only did they do research on their desired product, but they also do not trust the information provided by sellers. They embrace digital and search before making purchases. In fact, they will make on average 12 searches on the product before purchasing. Decision makers are becoming much younger, so the target audience must be lowered. Since millennials grew up with technology, they are using it to their benefit. It’s now a multi screen world, and millennials will use multiple devices before making a single purchase. Out of all of these young decision makers, 70 percent of them are engaging in video content. The businesses that keep up with the usage of videos are 25% more likely to have these customers engage with them. Engaging with millennials by making use of 21st century technology will help you to defeat your competition. 75% of mobile sites take 10 seconds to load, but a majority of the people will leave after 3 seconds. Be the business with quick speed and easy-to-access content, so your customers will enjoy their time on your site. Data is important to keep creating, since more data is necessary keep up with millennials. Each minute, 2.4 million searches on Google are occurring and 142 emails are being sent out or received. Finding out data about customers allows a company to have more personal targeting, instead of targeting to just one large group.You can connect with your audience based on different likes, re marketing, etc. Technology is now changing the way businesses are marketing. Machine learning is being used by businesses such as: artificial intelligence, speech searches, recognizing search patterns, etc. 20% of all searches are now voice-based. This means that customers are in the driver’s seat, and by 2020 – businesses using machine learning will together amount to 1.2 trillion dollars in sales. Finally, what we can take away from this Google Partners event is that customers are now changing the way we do business. 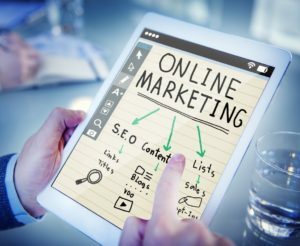 More data is being created than ever, remarketing can be used to target similar people to your customers and machine learning can create dynamic ads and match customers to your type of business. For those of you who haven’t yet seen the Google Partners live stream event from May 17th, we’ve provided the video down below. Today’s event focused on how to reach your customers at the right moment to maximize your marketing dollars. Reaching customers right when they are searching is crucial. Site speed is critical in reaching a potential customer. If your site will not load in 3 seconds, customers will go to one of your other competitors. Being there when your customers need you is the best way to ensure your place above your competition. Home improvement searches have been steadily increasing over the last few years. People are now adding to their searches “near me”, to find local home improvement services. This search has spiked in the past 5 years, showing costumer interest in local businesses. Reaching customers for services when they need you can be difficult. Maybe a person is calling about a roof leak in the middle of the night, but your roofing business only works 9-5. The Google event today explained that when you are not there for your customer when they need you, they will find someone else. When reaching customers, you want to know what moments matter and what times of day they will call. Some moments matter more than others, so you will need to find out when these moments happen most in order to maximize your marketing dollars. Millennials are now the largest group of heads the household and make a lot of the buying decisions including household services. From 2013 to 2018, millennials becoming the head of the household is projected to increase by 8 million. In order for millennials to purchase your products, you need to get their attention. By creating stimulus for your products, customers will remember your product when they need you. Now, customers are using mobile devices for most of their searches and relying less on reviews to decide what company to hire. Around 61% of customers use search engines to find a business while only 15% rely on business reviews. As the consumer behavior changes, your business model should change as well. It is important for your business to have a presence on search engines. Being found on Google is a great start to capturing the demand people have for your services. Owning your Google My Business Listing will not only let customers know you’re reliable but also will give insights about what customers look for on Google My Business. Be there when the customer needs you: choose the right keywords, connect with the target audience, and find out what people in your area are searching. One of the last ways to win over customers is to have a great mobile experience and keep up with the latest ad formats. For example, 75% of millennials prefer texting over calling and adding a text feature to your ad is a great way to connect. YouTube videos are another great platform to find millennials and are great for companies to engage with potential customers. By keeping up with the ever-changing business models of today, your company is guaranteed to win over the new age of buyers. After watching the Google Partners Livestream, we were able to gather some of the important tips for companies to help their business this year. Technology is now at the heart of business, and everything around us is connected to the web. As trends are continually impacting industries, it is important to follow them in order to still be in business in the near future. Many companies are closing their retail stores, but many people do not realize that they are doing this to enter the digital world. Online shopping has become so prevalent that stores are closing down in order to put their focus on where consumers spend their time. With changing consumer behavior, our industries are being challenged. Traditional business models are changing, and we must be aware of technology shifts in our field. For example, Blockbuster used to be the place that everyone bought their movies. People took their car to a location to browse through VHS and DVDs. Nowadays, movies can be streamed through TVs, laptops and cell phones with just the click of a button. Now people are using companies like Netflix, which allows you to watch shows and movies without leaving your couch. Talk about a business model that changed pretty rapidly within the past 15 years! Consumers behavior is changing along with technology. They have 24/7 access to mobile devices, which means that they have access to an unlimited amount of information. So what does this mean for companies? It means that consumers are more informed and aware, creating higher expectations. This is creating more pressure for companies to meet the demands of consumers. All companies today are being challenged, and it is up to them to do something to stand above the competition. How Can I Prepare for the Digital Future? One way to keep up with the digital age is to keep ad spending in sync with consumer behavior. Are you using ads on platforms that have been surpassed by digital ads – such as TV ads? Another thing to consider is being open 24/7. Making ads profitable is key by knowing when consumers visit your company. For example, consumers may visit a lawn service company mostly in the Spring and Summer months, which means your companies ads should run according to the influx of customers. Being available for your customers when they are looking for you is a crucial way to get customers. If you are not available at the time your customers need you, they will look for another company in the same industry that is available. Other things to incorporate to make your business tech-savvy in the future are: keyword research to target your customers, using ad extensions and forms, creating a great mobile experience and using a Google my Business page. From the Google Livestream, we learned that technology is changing the way we do business. Businesses must keep up with the times in order to engage more customers and generate more sales. Since 1 in 3 adults watch at least one Youtube video per month, it’s safe to say that engaging online with customers – especially through social media outlets – can help to increase your website traffic. To make sure your company is up-to-date with the digital world in 2017, contact 3PRIME today! If you wanted to see what Google had to say, watch the Livestream below. Be up-to-date with the latest in business and find out how to connect your business to the ever-changing world. Our score from The new Test My Site web application by Google. Google Insights analyzes web performance, gives feedback and suggestions to improve your web page. This test lets you enter your website URL and gives you your performance on both mobile and desktop. If there are problems that need your attention, a yellow exclamation point will pop up telling you to ‘consider fixing’ and will show a list of the things to improve on. A checkmark in green will highlight the aspects about your website that you have passed. Google released a new site performance application called Google Test My Site. As both interfaces provide advice to website users, there are still many differences that separate both website apps apart. With both the pages, the scores remain the same. Test My Site has the option to email your test results, but Google Insight does not. Test My Site also has pretty visuals, such as bright colors and interesting videos, making it user friendly. It also displays your results on one page, where Google Insights displays results on 2 different tabs – one for mobile and one for desktop. To test if your site is mobile friendly on Google Insights, the website will have you click on a link and send you to another page. Our results from Google Insights with scores and explanations of how to fix results. What was nice about the old site, Google Insight, was that it displayed all of your scores right away, and was not separated by large tabs and graphics. They also explain how to fix the issues they identified on your site, where the new site does not. This can be frustrating to any user wanting to get right to the changes Google is recommending, like implementing browser caching, but not having ready access to resources and recommendations. Insights will show you, for example, if an image is too large what size to make it. This highlights that the new Test My Site web app is for non-technical users, while the pagespeed insights is the more useful resource for developers, so we hope they don’t take it away! Put Your Goals in Writing – Be sure to plan what your goals for the year are. Create a calendar to organize tasks along with the people assigned to them and the deadline for each assignment. Using Cloud storage is a great way to keep organized without compromising your personal storage space. Google Drive gives you 15GB of free space allowing you to free up storage on your computer! Engage Your Team – Emphasize ideation and creativity! Empowering employees to think of new ideas promotes employee engagement and inspiration. It increases your team’s engagement with your brands and product lines and leads to employees coming up with new and inventive ways to promote through blog posts, videos, infographics, or other media. When a business brainstorms, it is able to inspire employee confidence and allows everyone to contribute. Getting different employee perspectives allows a challenge to be approached from many different angles. SEO – SEO is multifaceted with different areas of emphasis applicable to any business or organization’s web presence. One of the most critical aspects for 2017 is optimizing your mobile experience. Over 80% of internet users own a smartphone, creating a positive experience on mobile devices is a key for increasing user engagement and driving conversations. Doing keyword research for your market, local search marketing, developing good content on your website, and link building will help to increase website traffic. The most popular tool for measuring results is Google Analytics, which uses data visualization to display website traffic changes overtime in easy-to-read charts and is provided free by Google to website owners. Design – In a crowded market, one of the best ways to attract new customers is with great design, which is more than just photography and layout. Some aspects to think about include a good use of typography, scaling, color theory, and harmony. Not only should you focus on the visual graphics, but good design can also be found in the site layout. When customers come to your website, it should be organized so that they clearly understand the services your company provides. So making sure your website is clearly laid out and easy to navigate provides for a positive user experience. Beyond the visual aspects, you should also consider whether your website enables visitors to follow the optimal path to the actions YOU want them to take! Branding – It is important for your company to get its name out there! Defining your brand will shape your company’s mission. The benefits or services your company provides will differentiate you from your competitors. Knowing who you are and delivering what you say you are going to deliver are all a part of your branding strategy. Create a unique logo, use your logo colors, create graphics that are modern and appealing to your audience, and be consistent with integrating your brand on print collateral, apparel and digital profiles. These practices will help your company to create its own “voice” which stands apart from its competitors. Social Media Marketing – Make sure all of your social media profiles are up-to-date with fresh content. Keeping content on a consistent basis, such as weekly posts, will help to gather more followers and engage with the segment of your audience who prefers this medium. Social Media marketing is all about engaging with customers and keeping up with current trends. Ask customers questions, post creative content, and follow people in your niche market to promote company growth. Email marketing – Make sure that your contacts are up-to-date and be consistent with your messaging. They help to enhance the business to consumer relationship. You can also send out mass emails as a way to quickly connect with your target market. Email marketing is highly effective tactic to keep in touch with current and past customers, and the potential for marketing automation and follow-up campaigns cannot be ignored. Companies can use this as a cost-effective way to stay in contact with existing customers. If you’re looking to implement any of these goals to your business in 2017, know that 3PRIME will be there to help with the process! We can help evaluate what has worked in 2016 and what ways your company can improve. From SEO services to creating stand out content, we are here to represent all of your business needs. With simple yet effective marketing techniques, together we can help your business prosper. We hope you enjoyed the holidays and are ready for a productive 2017.